NFU President Minette Batters has said the Government needs to convene a new commission of food and farming experts to establish the principles that will ensure Government upholds the high standards of British food production post-Brexit. Batters’ vision for the new commission is that it will make clear recommendations on the UK’s future food trade policy, including how to ensure food imports are held to the same high standards as those British farmers adhere to and how future trade deals ought to be scrutinised by Parliament and industry. Crucially, there must be a commitment that Government will be required to act on these recommendations. Speaking at the NFU conference in Birmingham, and stressing that a strong farming industry goes hand-in-hand with a strong environment, Batters will also give more detail about the NFU’s ambitious plans to tackle greenhouse gas emissions and for British farming to aim to achieve net zero by 2040. A drive to improve and invest in productive efficiency, incentivising carbon capture from the atmosphere, and bioenergy to power carbon capture storage systems are all part of the strategy. 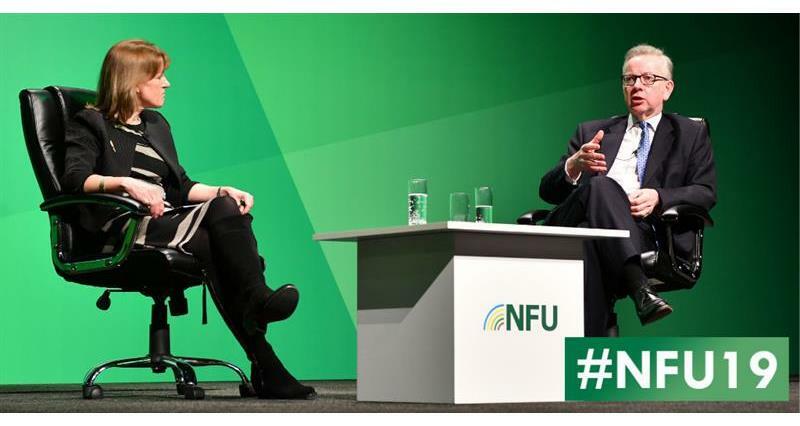 In a speech delivered at NFU Conference, one year after being elected as the first female President of the NFU, Batters also reiterated the strategic importance of British food and farming for the nation’s food security, environment and health and wellbeing. In her speech, Batters said: “I committed last February that I would do my utmost to champion British food and British farming. My mission has been to ensure that the country understands the importance of this strategically vital industry for our health and wellbeing, for our environment and for our food security. “The scale of the challenge is enormous. Around 200 million meals are eaten every day in Britain. And the population is growing. We are proud to produce much of that food. We are proud of our standards. We are proud that British people have access to affordable and quality British food regardless of their income. “I have asked the Secretary of State to commit to ensuring that any future new trade agreements will not undermine British food standards. Put simply, a commitment that after Brexit the food Britain imports will be produced to the same standards which is legally required of British farmers. “And when I say standards, I mean all of the high standards British farmers observe – often at considerable expense – in protecting the environment, safeguarding animal welfare and providing safe food. “Mr Gove has said that over his dead body would British standards be undermined. I don’t want it written in blood. I want it written in ink. “The issue of maintaining our food standards is critical. Which is why I am asking for a high-level commission to be convened, bringing together government officials, industry representatives, civil society groups and experts in food and farming.